This Saturday is the 2016 instalment of Earth Hour. A global initiative to switch off and help highlight climate change. 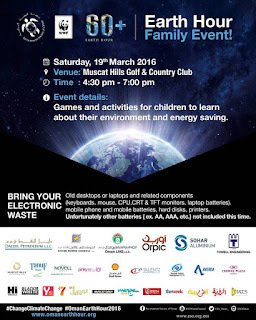 Every year for the last few years the Environmental Society of Oman has actively promoted this initiative and many local businesses join in and switch off for an hour between 8:30-9:30pm on Saturday night. 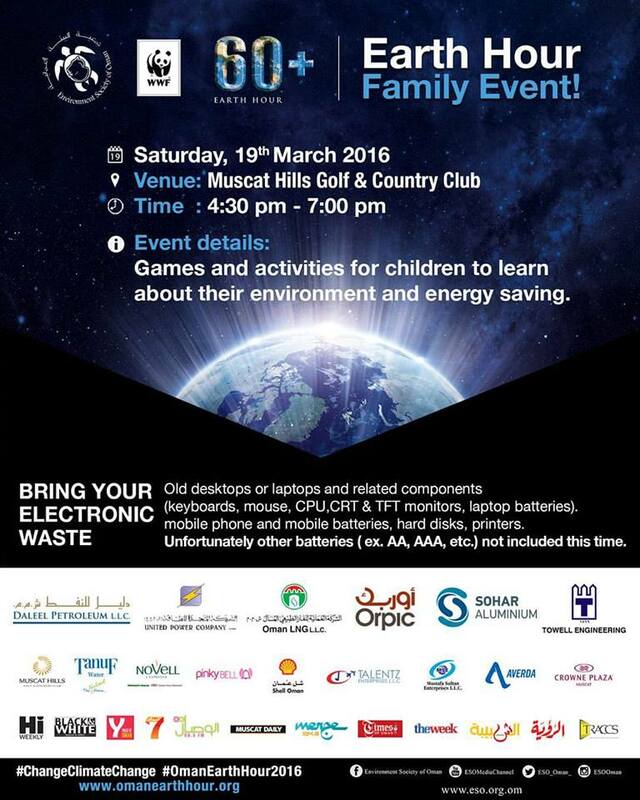 They have a family event that they host on the same day, this time between 4pm and 7pm at the Muscat Hills golf club which will have games and activities for children to learn about their environment and energy saving. Also, if you happen to have some electronic waste laying around (say a few old phones, clapped out laptop, etc) bring it along and they'll take it off your hands (and presumably recycle them).